One of the most effective and easiest ways to protect your body from diseases is by consuming drinks and foods that are full of substances that boost the immune system. Many vegetables and fruits have minerals, vitamins and high levels of antioxidants, which can strengthen the immune system and turn them into highly nutritional juices beneficial for your health. If you start consuming these drinks on a regular basis, you have a great chance of experiencing less health problems. 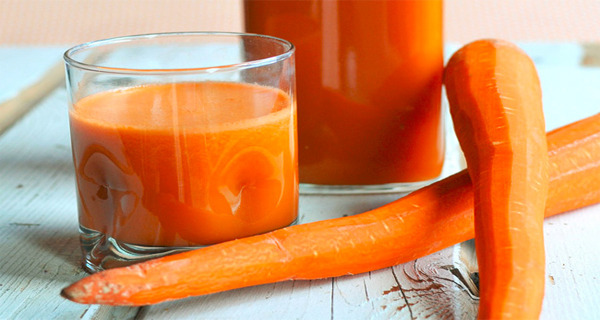 Carrot juice is a sweet and well – liked drink by both children and adults. Additionally, it can bring many health benefits, and one of them is to strengthen the immune system. It contains potassium, vitamin B complex, vitamin C, iron, sodium and phosphorus, which function is to provide relief for the nervous system, alkalize blood, tone the walls of the intestines, prevent illnesses and improve liver function. One of the cheapest fruits that you can find in the grocery store or market is lemon, but it can bring amazing benefits to your health. This fruit contains tons of vitamin C and antioxidants, which can balance the levels of acids and alkali in the body and improve the immune system. So, drinking lemon tea or lemonade regularly will make your body less prone to illnesses. The perfect immune system boosting drink is green tea. It inserts a substance called EGCG, or epigallocatechin gallate, into the body, and this substance is very helpful in the fight against bacteria thus preventing the viruses from multiplying. ECGC may be able to control the development of cancer, according to a recent research. Beet juice is not only able to boost the immune system, but it can also benefit your health in many other ways. Some of the essential nutrients that are present in beet juice are carotenoids, calcium, beta carotene, potassium choline, manganese, vitamin C, sulfur and iron. This drink can cleanse blood, strengthen the gallbladder and liver, and improve the function of the brain. It may be too concentrated to make a pleasant drink, but it can be mixed with carrot or apple juice.